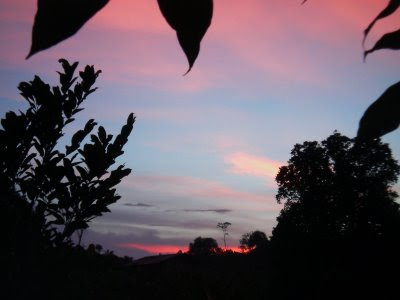 It was a beautiful sunset that appeared over at my farm this evening. Very inspiring and breathtaking. The above view is from my verandah , looking South-West.